The list could continue much longer, however, not able to convey the feelings you feel while walking next to these wonderful monuments, which are located just outside the door of our bed and breakfast. Leave the house in the morning, after having enjoyed an excellent breakfast, walk down the street and meet the same places that also saw eminent personalities from the past. 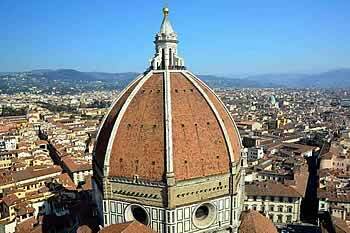 An ancient bell tower, a church, a dark alley crossed by a ray of sunshine, a flight of pigeons in the Piazza del Duomo, this is the Florence that we offer. Visit us in our bed and breakfast near the Duomo in Florence.